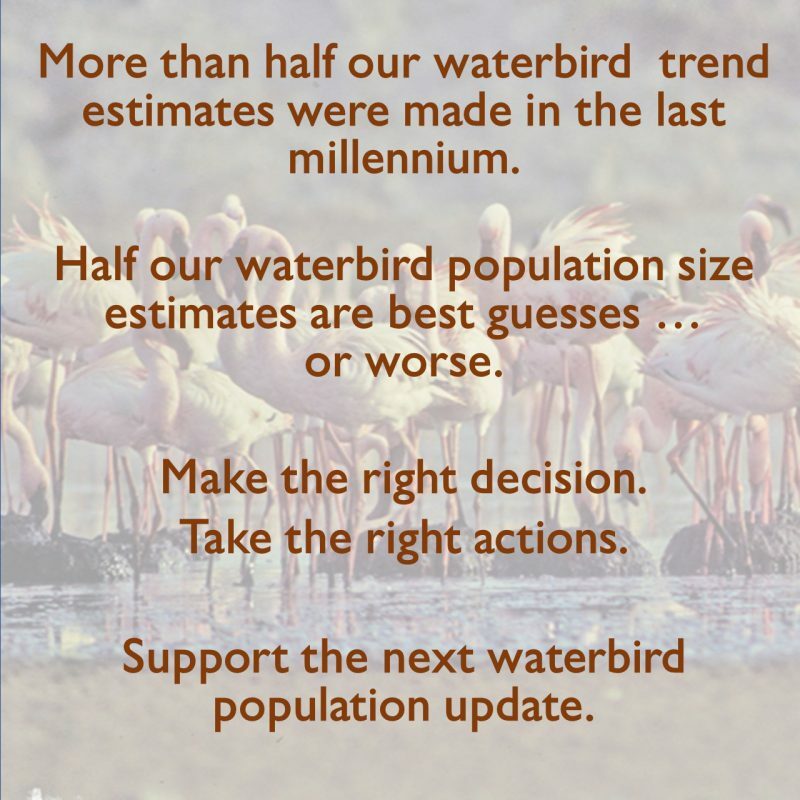 Up-to-date information on waterbird populations is essential for wetland and waterbird conservation. It alerts us to species in danger and helps us identify and protect wetlands of great importance. It ensures hunting remains sustainable, accurate impact assessments are made and appropriate national and international policy is developed. It helps us target our resources to where they are most needed and helps us monitor how effective our conservation strategies are. But for many waterbirds our knowledge is either poor or outdated or both. We need to make sure the most up-to-date information is available and gaps are filled in our knowledge. With over 2000 waterbird populations in the world, this is a big job. You can help by donating to support this important work. Make the right decision. Help us take the right actions.